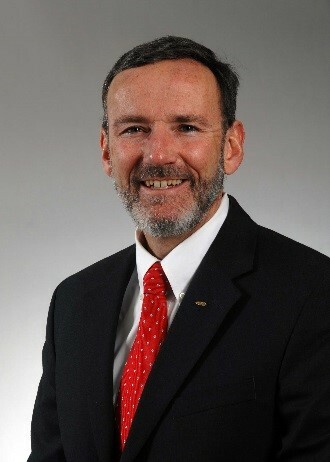 Dr. Steve Jolly is the Lockheed Martin Systems Engineering Director for the GOES-R program (next generation weather satellites in geo-synchronous orbit) in the Sensors & Exploration Systems (S&ES) line of business. He is also the Program Manager for the Mars Reconnaissance Orbiter (MRO). He has served Project Orion off and on as an independent advisor and tiger team lead for entry, descent and landing. He was Program Manager for the Mars Science Lab Aeroshell and is a member of the Independent Assessment Panel for the MSL Landing Site Selection. He has served as a member of EDL systems engineering team and critical events risk process for Phoenix, Stardust and Genesis. He was chief systems engineer for Mars Sample Return (MSR). He was flight operations lead for the Mars Polar Lander (MPL). He has twenty-eight years of experience in spacecraft and launch vehicles from concept through flight operations. He has a B.S. in aerospace engineering from CU-Boulder, an M.S. from Florida Institute of Technology, and a Ph.D. in aerospace engineering sciences from CU-Boulder. He is a 2007 recipient of the NASA Public Service Medal for distinguished service and is the American Astronautical Society (AAS) Chair for the Rocky Mountain Guidance and Control Section.